IBM Bluemix together with Blocksmiths is set to host a Blockchain event on 5th May 2017 at Blocksmiths’ Gurgaon facility to help industry leaders, journalists and startup founders to understand the blockchain technology and its applications in various domains. Blocksmiths is a Gurgaon(India) based blockchain consultancy that helps organisations from pilot and prototype deployment to the full scale implementation of blockchain based solutions as per their particular business requirements. IBM being the industry leaders in providing services and solutions to businesses has been aggressively exploring blockchain through its Hyperledger platform which specialises in providing private/permissioned blockchian for enterprises that want to try and implement the technology within the organisation and its associated companies. 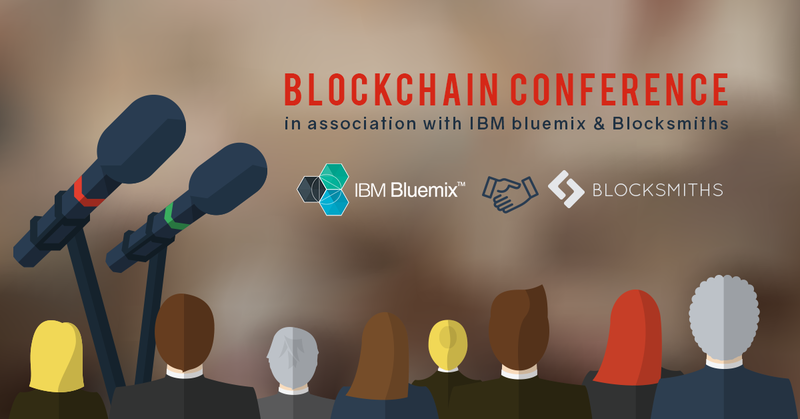 The agenda for the event is to make the CxOs and founders aware of the plethora of cloud based solutions that IBM Bluemix has to offer and to stir their minds to innovate by leveraging the blockchain technology. Attendees at the event will also have the opportunity to interact with technical experts from IBM and the senior management from BlockSmiths and understand how blockchain can revolutionise their particular industry. Given the current interest in blockchain by many countries and companies primarily because it can provide a wide range of solutions across a wide array of industries such as insurance, banking, manufacturing, IoT, cybersecurity and many others, the event will be a great fit for those business leaders and company founders that wish to address business inefficiency issues by experimenting with new tech. Does India need to put more effort towards privatizing the Space Industry? Baidu open sources driverless car technology to establish market dominance -- is Google, Tesla rattled?